Hello chaps I'm thinking of changing my bike for this, as I will no doubt need all the extra room, to carry all of that Geordie's equipment and those extra long delicious french sticks. 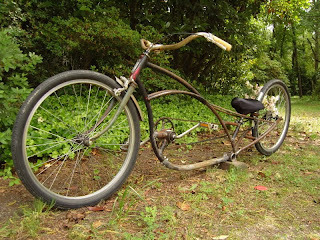 My other choice is this bike but as I wont be bringing the good wife I may get lonely up there. 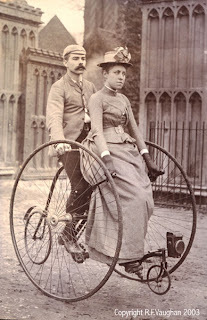 I've been told by a reliable source, that the placing of the wife in the front of the bicylcle was used as an early form of satalite navigation. It didnt catch on.